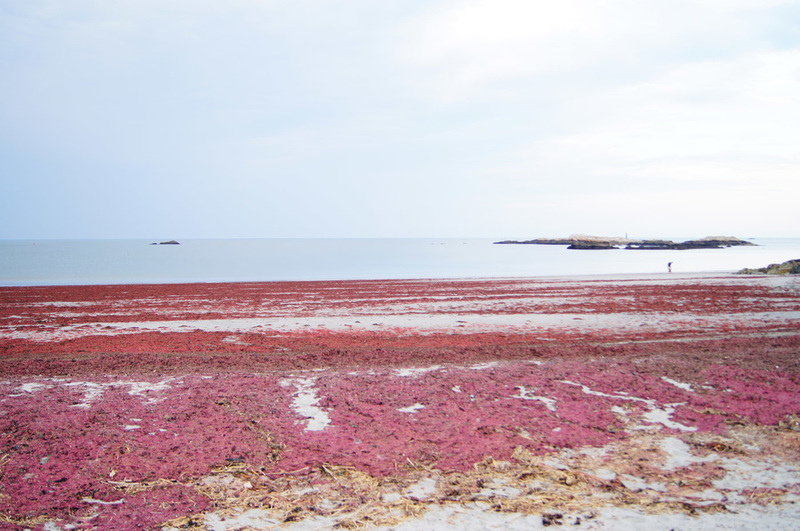 Invasive Japanese RED Seaweed on North East Coast of The U.S. 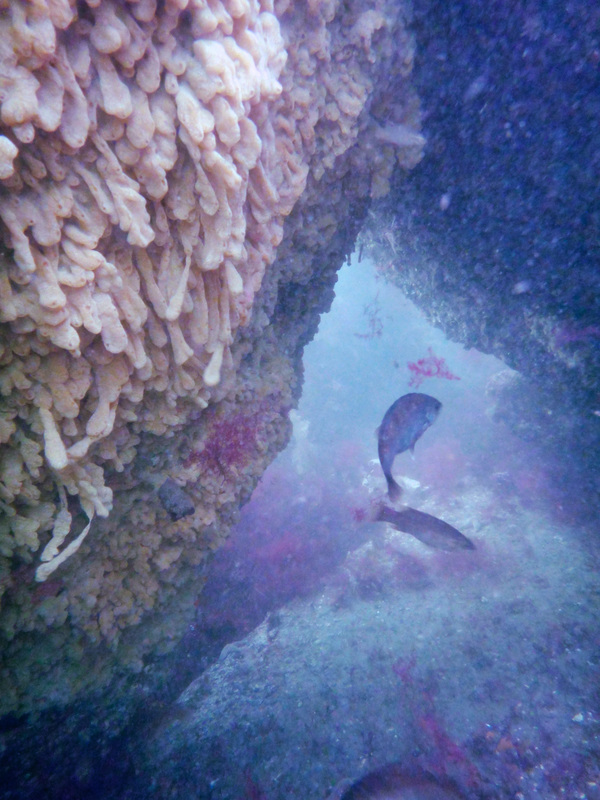 This is a picture I took a couple of weeks ago, diving in Maine, in about 40 feet of water. 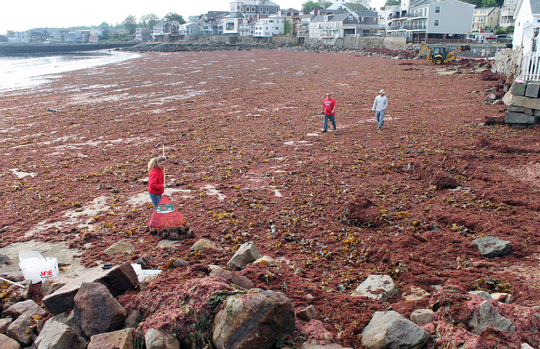 The seafloor was covered in Japanese red seaweed, an invasive species not native to New England. 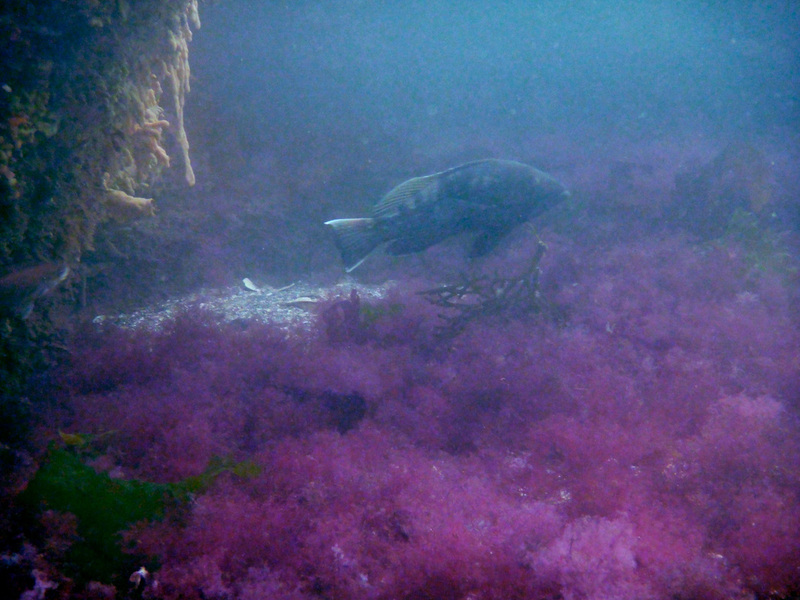 Warming waters have caused explosive blooms and there aren't enough animals that feed on it to keep it under control. It washes up on beaches periodically, where the seafloor in front of the sites is rocky and offers the perfect environment for the seaweed to grow. This is Sandy Beach, in Cohasset, MA in June. This is Mahone Bay, Nova Scotia, Canada (the smell at an event like this is not pleasant at all). Photo is not mine. 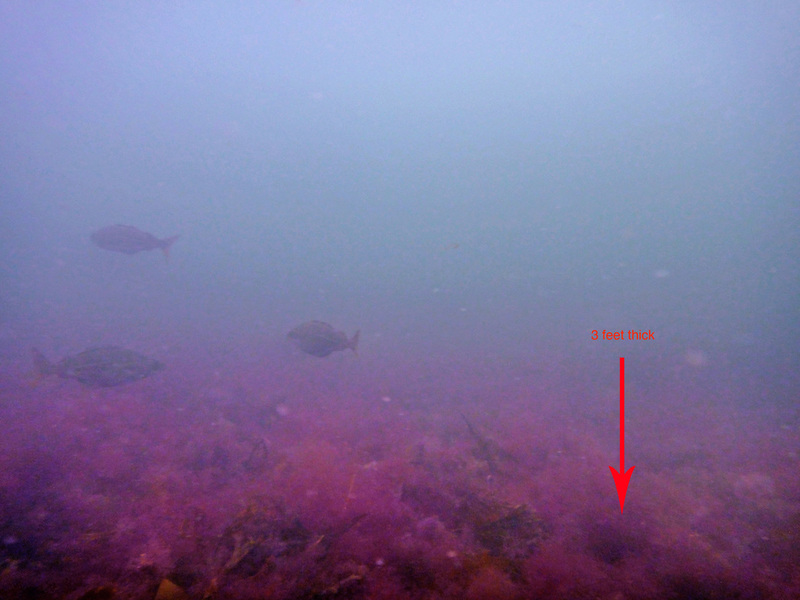 Christine Newton et al., "Invasion of the Red Seaweed Heterosiphonia japonica Spans Biogeographic Provinces in the Western North Atlantic Ocean," Plos One, April 24, 2013 (link here). 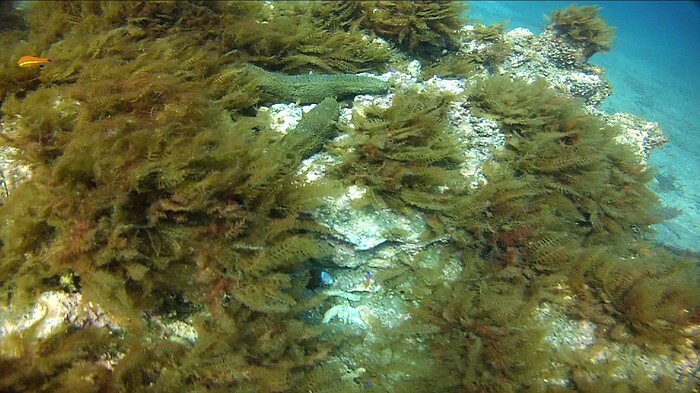 The seaweed is blooming at unprecedented rates because of warming waters. It was imported to California the same way the red seaweed came to the East Coast. 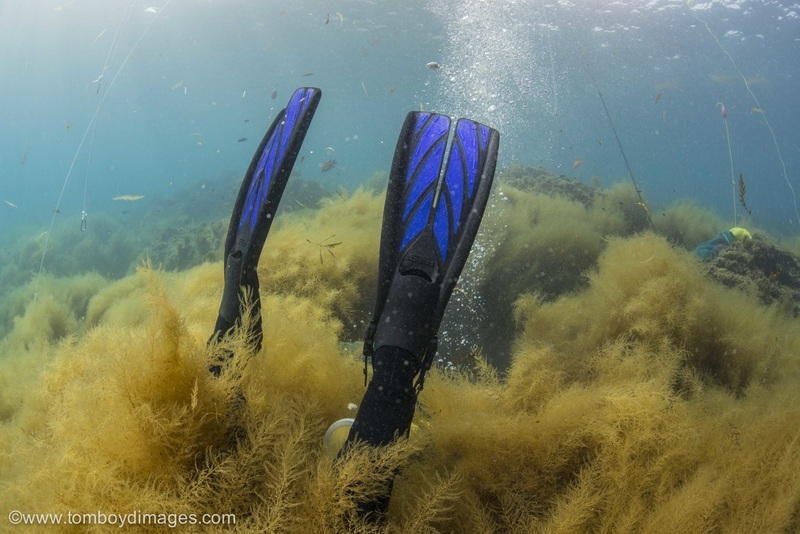 The California government along with the National Oceanic and Atmospheric Administration have determined that this invasive seaweed is not native to California and is spreading wildly, due to climate change. 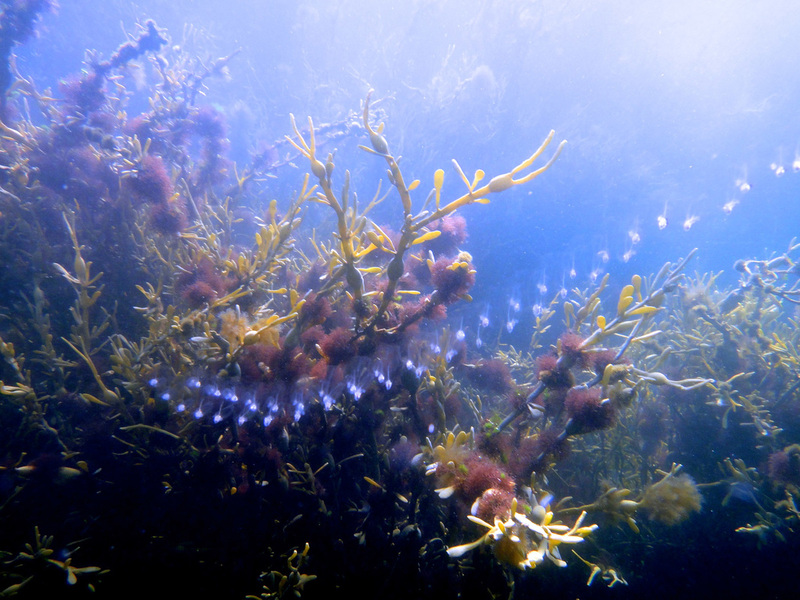 It has invaded Catalina and made the marine park much less diverse, choking out other species and thereby reducing the amount of divers wanting to visit the island. This invasive seaweed has been nicknamed "Devil Weed."